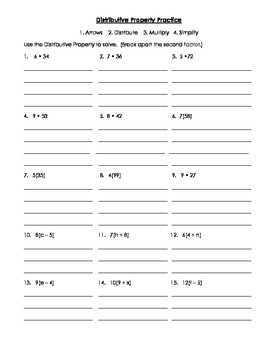 This is a practice worksheet that follows the Distributive Property Power Point also available on my TPT site. Problems include using the Distributive Property with numbers as well as algebra. All problems will include only positive answers - no negative numbers / integers.